I leave tomorrow to attend the annual meeting of the Society of Biblical Literature. This year we are meeting in Baltimore. I have a variety of sessions to attend, but am looking forward to two in particular. 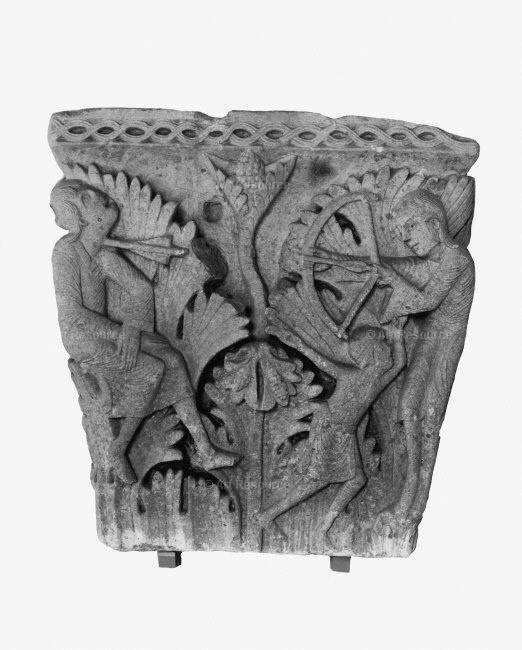 One is a session in which I will give a paper on the death of Cain in art. I will explain how the legend of Cain's death developed from the biblical text and became a favorite topic of medieval artists Here's an abstract of the paper I am delivering in the Bible and Visual Art section. One of the more peculiar oversights in the Genesis narrative is the failure to mention when and how Cain died. We are, of course, told how Abel died and the deaths of Adam and Seth are both recorded in Gen 5:3-8, yet we are never told about Cain’s death. Instead Cain goes on to marry, raise a family and build a city, but his death is never recorded. For some this created a theological problem. If Cain was allowed to live, what kind of judge was the almighty? Ancient exegetes sometimes solved this problem by inserting details about Cain’s death as well as elements of divine retribution for his murder of Abel. The most sophisticated of these interpretive expansions is the legend that Cain was killed by Lamech. By expanding Lamech’s speech in Gen 4:23-24, interpreters were able to fill in the story’s lacuna and thus guarantee Cain was justly punished. While this story is not as well-known today, it was familiar to many in the past. The story of Lamech killing Cain is visible in the architecture of churches, such as Saint-Lazare in Autun, France and the Modena Cathedral in Italy, and in the engravings of Lucas van Leyden, Jacques Legrand and the Egerton Genesis Picture Book. This paper will demonstrate how the theological questions raised by the text were answered not just with pen and parchment, but in the artwork that enhanced the life of the church. In a time when many couldn’t or didn’t read the Bible, illustrations of Cain’s death helped to answer the questions some would have raised about the circumstances surrounding the first recorded murder and the punishment of its perpetrator. The other session I will attend is with N.T. Wright to which I was invited by Fortress Press. As many will now know, Tom has published his massive (1700 pages!) Paul and the Faithfulness of God. I have been asked to attend a session with bloggers who will engage with Wright about his new book and other aspects of his scholarship. If there is WiFi in the suite where we are meeting I will attempt to live blog the session. Otherwise, I will post on it later. In the meantime, here is my question for N.T. Wright. In Paul and the Faithfulness of God (PFG) you compare Pliny’s letter to Sabinianus with Paul’s letter to Philemon. As part of your analysis you suggest that the letters demonstrate the different worldviews that existed between the two authors. You suggest that resident in Philemon are echoes of Ex 21 and Dt. 15 that are in Paul’s mind as he requests that Philemon accept Onesimus back and perhaps free him (p. 15). This “echo of Exodus,” you suggest, demonstrates that each letter encapsulates “a completely different worldview” (p.18-19). In light of these suggestions, I wonder if you would comment on Paul’s words to slaves in 1 Cor 7:21-22. Here Paul says to those in the audience who are enslaved “were you called as a slave? Don’t worry about it.” While I agree with the majority of modern scholars that the elliptical phrase in 7:21 probably allows for manumission, it does seem that the echoes of Exodus are missing in this passage. I do not see where in PFG you address the issues of 1 Cor 7:21-22 and how that passage may impact your understanding of Paul’s worldview or Exodus shaped prism. Does Paul have one worldview in Philemon and another in 1 Cor 7:21-22? It seems that although freedom may extend to slaves metaphorically, it isn’t always that way practically and Paul’s seemingly contradictory statements could suggest that Paul really isn’t all that different from Pliny. Perhaps I will see you in Baltimore! I have been on "flights from hell," but never on one "to hell." Apparently some people did board that flight back in September, on Friday the 13th. Would you board flight 666 to HEL on Friday the 13th? For superstitious travellers, that might be tempting fate. 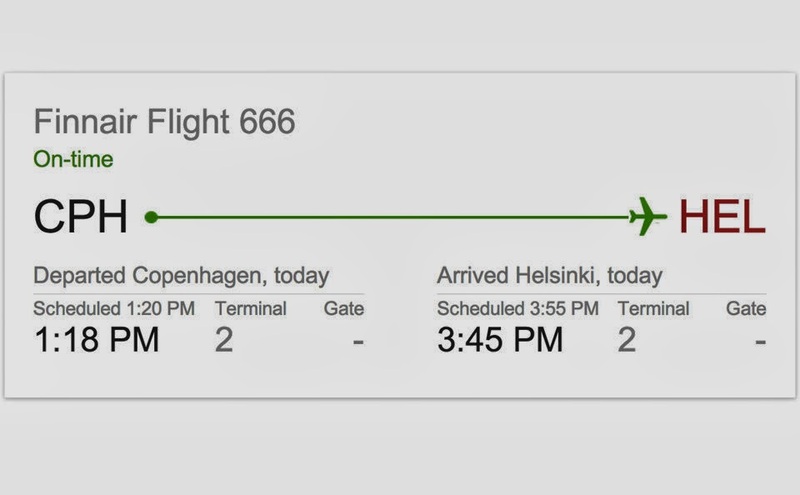 But Finnair passengers on AY666 to Helsinki apparently were not too bothered. Friday's flight was almost full. "It has been quite a joke among the pilots," said pilot Juha-Pekka Keidasto before flying the Airbus A320 from Copenhagen to Helsinki. "I'm not a superstitious man. It's only a coincidence for me." 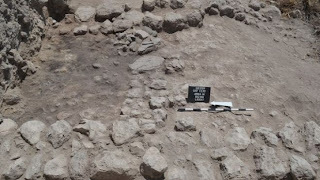 As some will know, I have twice taken a team of students to Tel-Gezer to participate in the ongoing excavations. For a variety of reasons we chose not to participate this year. As it turns out, this was the summer they found evidence for a previously unknown Canaanite city. Some people have all the luck. Here is an excerpt from the Live Science article. The traces include an Egyptian amulet of Amenhotep III and several pottery vessels from the Late Bronze Age unearthed at the site of Gezer, an ancient Canaanite city.Gezer was once a major center that sat at the crossroads of trade routes between Asia and Africa, said Steven Ortiz, a co-director of the site's excavations and a biblical scholar at the Southwestern Baptist Theological Seminary in Fort Worth, Texas.The remains of the ancient city suggest the site was used for even longer than previously known. I reported in a previous post that a new movie about the story of Noah's Ark was in the works. The film starring Russell Crowe and Emma Watson seems to promise a technological feast for the eyes and ears as Hollywood tries to do a better job of destroying the world than God. Below is a short teaser trailer. I do note that Russell Crowe seems to have a spear chucking scene in which I assume he is reprising his Gladiator role via the book of Genesis. No word yet on whether Emma Watson will concoct a batch of polyjuice to disguise herself as a helpless animal needing space on the ark. On another, note there is a second video below which comes from Jon Voight's Noah's Ark movie produced by Hallmark 1999. Some have aptly described it as the "Plan 9 of biblical movies." Those you who know Ed Wood will know what I mean.